Aiman Shaikh is driven towards making innovative discoveries in the field of technology. Currently working as a Research Software Engineer at the Science and Technology Facilities Council (STFC) Hartree Centre, Aiman is motivated by applying her expertise to enterprise by facilitating technological advancements and unlocking value for industry through high performance computing. Enjoying both research and practical elements of her role, Aiman is driven to make a positive impact within the field by applying technology to solve industry challenges and advocating for female participation in both underdeveloped and developing countries. 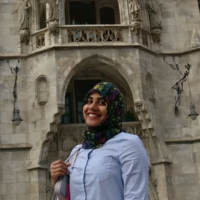 By presenting her work and being an active member of the HPC community, Aiman feels that her presence can encourage other female developers and software researchers to take up careers within the field.